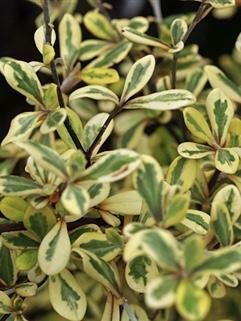 Evergreen linear foliage with strong cream leaf margins on wiry dark brown stems. Small starry yellow flowers, May to June. Sun and good drainage. 3m tall.